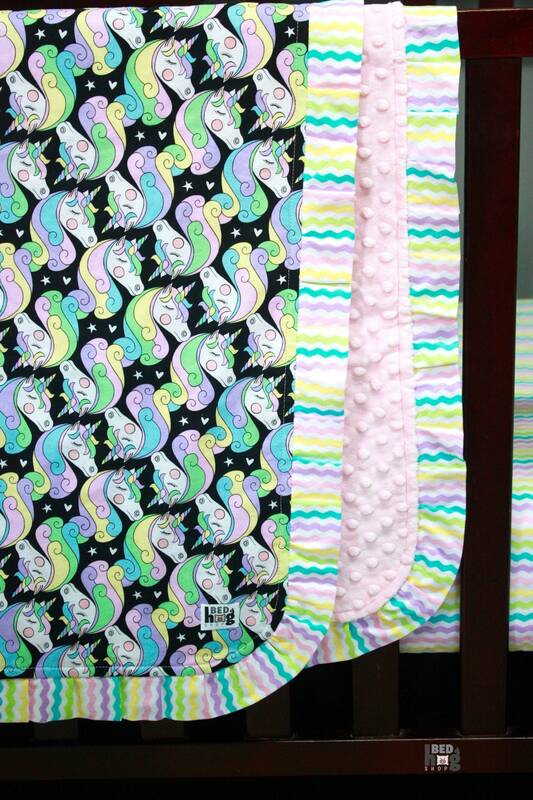 *35" x 45" pastel unicorn print blanket with 1 1/2" cotton pastel rick rack print ruffled edge paired with a light pink bubble dot minky backing. 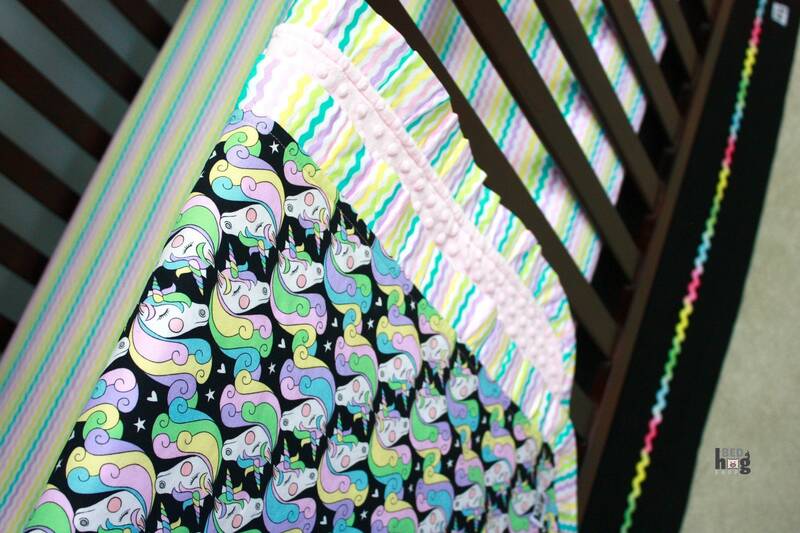 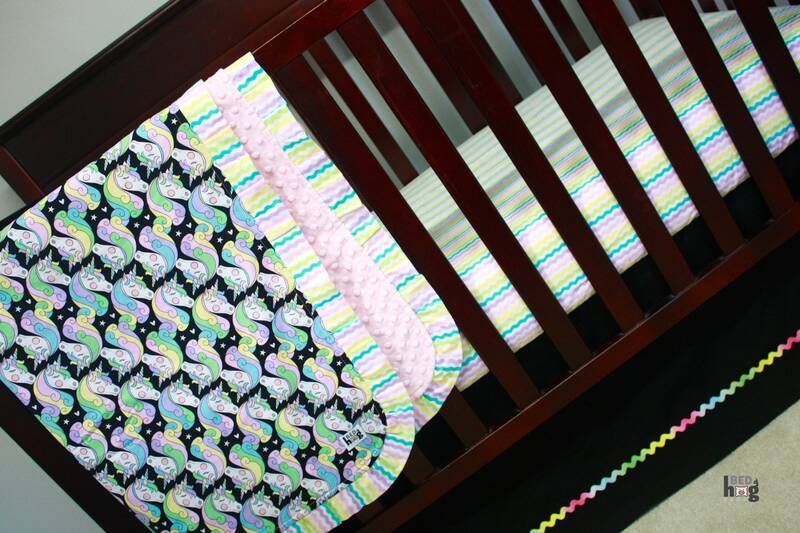 *Pastel rick rack print fitted crib sheet for a standard crib mattress(28" x 52") with french seams, 8" gusset, and encased elastic. 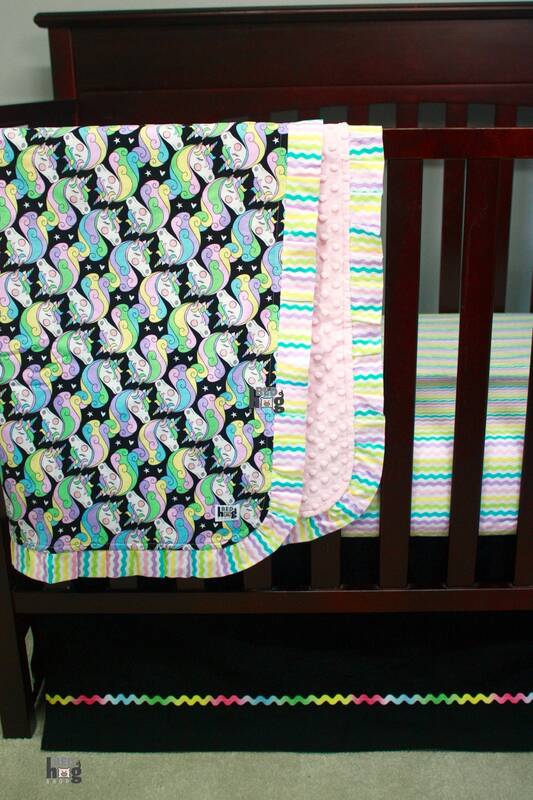 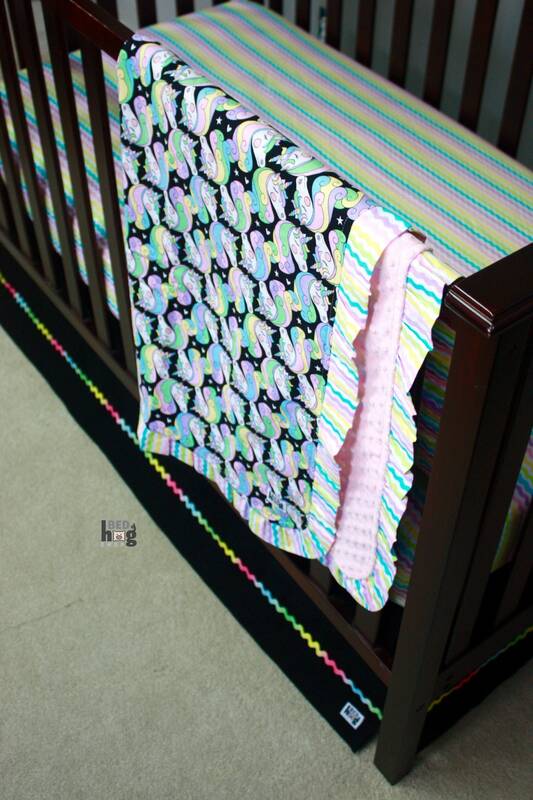 *Solid Black Flat Front Crib Skirt with pastel rainbow ombré rick rack trim. 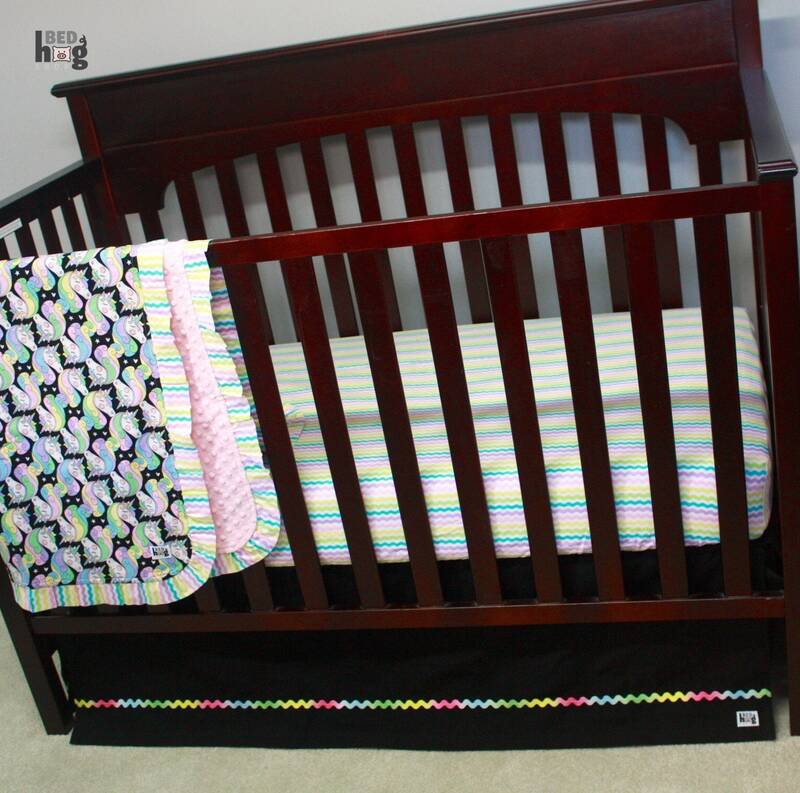 Crib Skirt has four slits and a 14" drop with a crib deck measuring 50 1/2" x 26 1/2".